Let's Face It! It's a fact that customers always want to know if their support requests are being taken care of on time. A service level agreement (SLA) policy allows you to do just that. With Trakdesk's SLA policy, you can set standards of performance for your agents, create SLA policies for tickets based on their priorities, setup rules to target a specific company, group or department, and setup automatic escalation actions to notify specific agents about SLA violations. With Trakdesk, you can also setup specific business operating hours for each SLA policy. This will allow you to leverage your customer support, and at the same time maintaining your standard of performance as a company. It's no fun having your customers screaming at you for emergency situations that were reported but slipped through the cracks because you were busy attending to other customers. Trakdesk lets you setup multiple SLA policies and configure each of them with specific targets so you can priorities and organize tickets in your helpdesk so nothing slips through the cracks again. 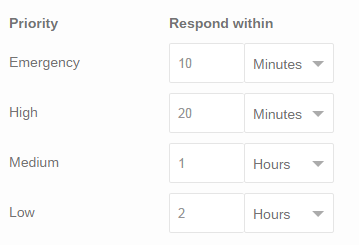 For example, you can configure your SLA targets so that all tickets with high priority should be responded within 30 minutes, and with a resolution of 1 hour. You can also specify when each policy should be enforced by setting up a series of conditions such as; if the ticket source is email and the company submitting the ticket request is Trakdesk, then, enforce the SLA policy. Sometimes customers are not very clear on what they really need help with. For your agents to assist, they would need to contact the customer and request additional information. The customer could take hours, days or perhaps months to respond. 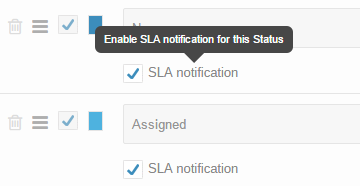 It's really not productive to have your SLA notifications running and risk an SLA violation. 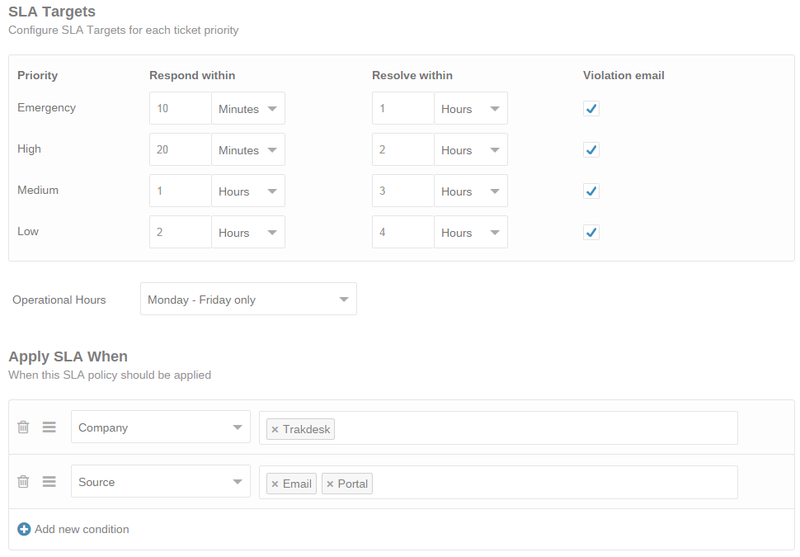 With Trakdesk, you can configure SLA notifications for each of your ticket statues so you never incur an SLA violation by waiting on your customers to respond. So, a customer had requested help for an emergency situation that required your immediate attention. Hours have passed and you were not aware of the ticket request. Then finally, you saw the ticket in your helpdesk, and now have to deal with an angry customer. 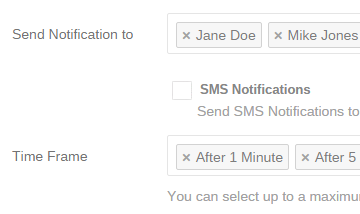 With SLA policy violations, you can setup automatic email and SMS notifications with multiple intervals so you are always alerted, not just once but multiple times, when tickets in your helpdesk require your attention.